Looking for alternatives to Planview LeanKit? Tons of people want Project Management software to help with due dates, collaborative project planning, and to-do lists. What's difficult is finding out whether or not the software you choose is right for you. We have compiled a list of Project Management software that reviewers voted best overall compared to Planview LeanKit. Based on reviewer data you can see how Planview LeanKit stacks up to the competition, check reviews from current & previous users, and find the best fit for your business. "Trello, a portable board. : The best thing about Trello is that it is a blank board which allows you an extremely correct and concrete organization, the basic organization of Trello is quite simple: boards in which you can create different lists, and within these lists, cards. These cards change their list as they are carried out or pass through different phases. " "Repetitive task? There you go : Asana can be used for free and in business version. A lot of people will find the free version just fine. It's great for repetitive tasks and you can customize if tasks should occur at special days, weeks, months etc. You can plan far ahead and share between teams or keep tasks to yourself. It's a software that's nice to use for these small things that you would like to keep out of your normal ticket tool etc. " "Carry out our projects with organization and planning with Basecamp. : Our company has been listed as one of the best in its management, so we chose to obtain the Basecamp software, which allows us to organize projects timely, plan work trips from a different perspective, helps us to manage easily, and timely, account with didactic and practical mechanisms to carry out these calendars with a very intuitive interface." "An elegant collaboration software much more than those already on the market: In the company for which I work, I wanted to follow up on certain projects, of which I was under my tutelage, since it was scheduled to be delivered within a period of 4 months, they recommended this software to me, and its interface is incredible, the way present the projects through templates, allows other colleagues to make their respective revisions at the same time, as if we were working in person, it is incredible, I like it because it includes a calendar for one to be able to schedule to work online and know how they go the advances and be able to deliver reports on time, its cost is not so high, and I was surprised by its support, I got a very good attention, efficient and in a very short time." "Best Project Management Tool for anyone anywhere. : It's super easy to use, very customizable, modern and user-friendly. One of the greatest thing Clickup has going for them... is that you can fully test drive this before you subscribe... for as long as you need. Clickup makes project management easy and fun to do... who really enjoys project management? I do with Clickup!" "integrating wrike with nozbe and other programs gave me the result I was looking for and now the wor: In the company I implemented wrike a short time ago and I managed to integrate it with most of the programs I use mainly with nozbe, the good results that I have achieved have helped me to highlight the tasks and keep the staff focused on their role within the department, this is something that can be difficult to obtain for companies since there are always distractions and disadvantages in the integration of programs but fortunately and achieved in a few months what you look for in many years"
"Monday Review: The tasking feature is excellent. If using this primarily to complete a to-do list the functions are really excellent and commendable. This works exceptionally well for our sales and marketing teams but not so well for our operational teams. We have large teams with very complex operations." "Fantastic Organisation Tool: As someone with both ADD and a neurological condition that affects my memory, Team Gantt is a lifesaver in the workplace. It helps me stay organised at a glance and stay in control of my work. The layout is calm, well spaced and easy to read and the bright colour coding makes it stand out from other project software that ends up dull and hard to analyse. " "Paymo is an elegant platform for advertising projects: Paymo specializes in optimizing workflows. Its solutions in document management and communication between users through voice messages are aspects that position it as a state-of-the-art tool. It also includes templates to guide the user. " "Good base but needs additional functionality options: I like that I can see all of my projects at one glance. It works well across large departments. " Teamwork.com is an easy-to-use online project management software application that helps managers, staff and clients work together more productively together online. "Great software, lots of tools, needs improvement on usability. : I love how there are SO many features packed into a great online tool. From saved list templates to easily communicating progress with teammates. We use the timer quite a bit to track project hours and keep us under budget. We also like how there are many options when creating a task: making it dependent, recur, estimate time, assign multiple people, add links, etc. We are looking forward to the improvements to the resource management aspect because we have both full and part-time team members." Float is a resource scheduling solution for agencies, studios and firms that helps keeping track of who's working on what and when. "Great scheduling software: Very easy to allocate projects / clients to tasks. Many other software didn't have a clear time allocation or overview week by week of the schedule. Float is very transparent, quick and easy to use and view the work an individual or team has booked. The reporting feature is also very handy to see where time has been spent by whom and if we are going over time! " Runrun.it is a ‘Work Collaboration Software’ (SaaS) that helps managers of traditional companies to get more productivity out of their teams by providing Task, Time and Talent management in an incredibly simple way. "Organização, Planejamento, Métricas e Agilidade - Tudo isso e muito mais utilizando o Runrun.it. : O ponto mais utilizado por mim e minha equipe, são os agendamentos de tarefas. Como possuímos contatos programados, o software nos ajuda a manter o controle e o prazo para a realização das mesmas, por isso, esse é o ponto que mais gosto e mais utilizo. Além disso, ter um Dashboard que te permite criar métricas e acompanhar a sua evolução, é sensacional. " Podio lets you get work done with your co-workers and clients on a social work platform that you make your own. "Ideal application to manage your projects online: I really like this application because it helps me manage my sales, and manage my clients. Podio is ideal to manage your daily tasks, I really like this application because it has helped a lot in my daily life to organize my daily tasks, it serves as a reminder so that no event happens to me. It is ideal to work online with my colleagues, organize events and get good results with corporate work. And the most important thing is a free application, which generates no cost to use it. " Function Point Productivity Software is an all-in-one project management solution specially designed for ad agencies, design studios and internal marketing departments looking to streamline their business. Our integrated software combines project management, time tracking, CRM, financial, and business reporting tools in one convenient cloud based system. Function Point’s comprehensive solution helps creative businesses improve their productivity and profitability by streamlining processes; simplifying collaboration; centralizing information; and delivering real-time business data. Easy, effective, and efficient — do more with Function Point. "FP has great customer service and really good training tools! Make the most of it. : FunctionPoint is a really holistic approach to looking at your campaigns. It ties your revenue to employee productivity, allowing you to see where and why jobs go over/under budget. " 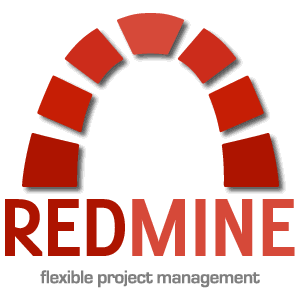 "Redmine - Best web application for project management: First of all its open source and its easy to manage as well as configure enormous plug ins on need basis. I would also say that it gives an upper hand to developers in easily tracking tickets and manage them in a controlled way. Community support is also an added benefit based on experience." Workamajig Platinum is a customizable, web-based project management software for advertising agencies, design firms, in-house creative departments and public relations firm that track expenses and time use in an entire company, from new business and account management to accounting and financial reporting. "Workamajig is good when you have a lot of of detailed projects: I like how you are able to add in as many projects as needed and list as many job functions as needed. There is a lot of flexibility when it comes to project functionality. Th search bar is very hand when looking for a specific project. It's nice to submit all time cards all at once. There is a lot of detail in each project." Cloud-based Project Management Software - Time Tracking, Resource Loading, Custom Forms and more. "New user - off to a good start: The program is intuitive to use and very flexible with custom fields. Coming from an older technology, this provides more visibility to our projects' timelines and status with a more graphical interface. The support during evaluation, installation, and implementation has been excellent." Intervals is online project management software that marries time tracking & task management in a collaborative space with powerful reporting. Ideal for small businesses including designers, web developers, consultants, creative agencies, IT services firms, and communications companies that bill on an hourly or per project basis. "It Just Works: I like a lot about Intervals. Most important to me: • Ease of use. I work with contractors, as well as employees, and I don't have a lot of time to train everyone how to use our project management system. I've been using Intervals for more than a year now, and everyone who has tried Intervals has been able to start using it almost immediately, because it is simple to navigate (and has very brief, webinar-style introductory videos, as well as straightforward text help, if anyone is confused or wants to learn more). • Price. I pay about $50 a month, which is very reasonable given all of the features of the software. Most of the comparable software that I explored either lacked features I wanted at that price point, or did not give me enough room to track all of my (25 or so) complex projects that I simultaneously need to follow. • Flexibility. There are plenty of options that allow me to customize Intervals to meet my needs (adding project status options, categorizing projects to meet our current internal systems, etc.). • Features. There is a wealth of reporting and queueing options to choose from. I use most Intervals features regularly, but I still haven't found the time to use them all. You can right-click on many pages to access numerous shortcuts that make it easier to update projects and tasks (e.g., to change project status or deadlines without needing to visit a different page). It is good to know that I can grow into the unused features as needed. It is even possible to allow clients to access the system. They also have a plan each quarter for phased-in improvements that they share with clients. • Customer service. Intervals staff have responded to me immediately when I've needed help — every. time. They've also responded in a helpful, thoughtful, thorough way to my questions and even to some of my feature suggestions, which they really do read. • Time tracking. A lot of other systems I looked at charged extra for this feature and/or did not offer a robust enough solution to meet all of our time tracking needs. Very easy and convenient to use. " "A complete game changer for content marketers: Having the ability to set templates for Social sharing is incredible. It means I can continue to promote my content for weeks after it's been published and the Requeue feature means it continues to get exposure for as long as I need it to." Hi there! Would you like help finding solutions similar to Planview LeanKit?